Multitudes of people believe in the gospel message, but it takes a special gift to passionately articulate God's truth in a way that truly impacts lives. 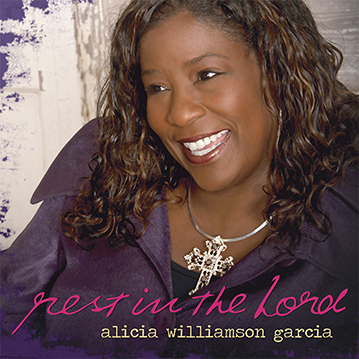 Alicia Williamson Garcia has that gift! 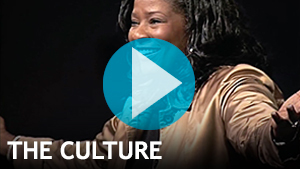 She is known for her unique ability to present a relevant message that reaches beyond cultural barriers, bridges generations, and brings unity to the body of Christ. A native of Florence, SC, Alicia began singing at age 5. Two years later, while listening to her father's first sermon, she trusted Jesus as her Lord and Savior. Her ministry career spans three decades beginning with the contemporary Christian group TRUTH, where she first recorded her signature song, "There Is a Hope." 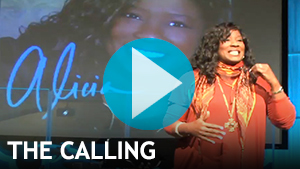 In 1993, Alicia started her itinerate speaking and worship ministry and is now a favorite speaker and worship leader for women's ministry events throughout the nation. In 2002, Alicia and her husband, Richard Garcia, founded IN Worship, a discipleship ministry focused on impacting the world for Christ - everyday! Alicia and her husband Richard currently live in Mobile, AL, and have two sons, Michael and David. Personal Life Mission Statement Helping people worldwide cultivate a biblical worldview. Education Master of Worship Studies, Concentration Leadership, Liberty University, Lynchburg, VA I Bachelor of Music Degree in Vocal Performance, Winthrop University, Rock Hill S.C. Schedule Alicia For Your Event For over 25 years, Alicia has been a featured speaker and worship leader at events throughout the country and has been privileged to partner with many prominent Bible teachers and worship leaders, including: Kay Arthur and Precept Ministries, Beth Moore, Babbie Mason, Sheila Walsh, The Brooklyn Tabernacle, Dr. Tony Evans of the Urban Alternative, Women of Faith, The Billy Graham Evangelistic Association, INSP-host of I-Gospel, and TBN, In Touch with Charles Stanley, The Gaither Homecoming, and more. 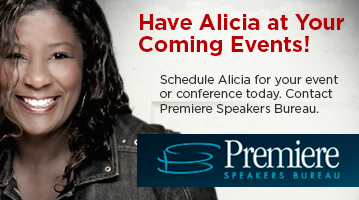 Contact Premiere Speakers Bureau for more information on having Alicia at your event or conference. Alicia's latest CD is filled with all the beautiful arrangements, amazing orchestration and inspiring vocals fans have some to love. 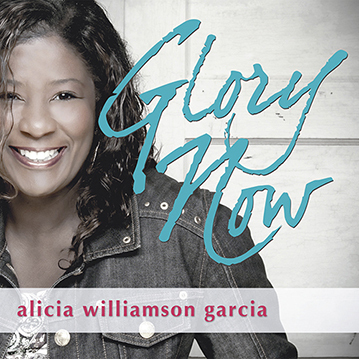 You can never just listen to Alicia Williamson Garcia's music, but instead you are drawn into a worship experience that fills your soul with expectant joy. Worship with Alicia and the high energy voices of Liberty University’s LU Praise. 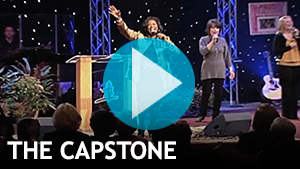 You’ll lift your voice and heart in praise to God as Alicia Williamson Garcia and LU Praise sing America’s favorite worship songs along with three new songs for worship written by Alicia and Geron Davis. Based on Alicia’s song, "Healing," this book will inspire readers to discover the true impact worship can have on our lives in ANY situation. We all have broken places in our lives that need healing, and this gift book is the perfect, simple message of knowing and trusting God. 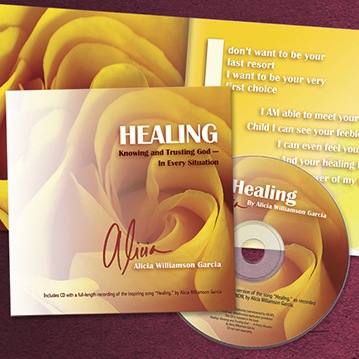 Includes a CD of the song, "Healing," as recorded on Alicia’s latest album, GLORY NOW. This beautiful book is filled with awe-inspiring photography and is also a perfect gift for any friend or relative who is in need of healing inspiration for any circumstance! Take a moment to provide the following information when contacting us. We're looking forward to hearing from you and someone will respond to your message as soon as possible. ©2016 Alicia Williamson Garcia - All Rights Reserved. IN Worship is a registered trademark. For more information about IN Worship, visit our website INWorship.org. This website is designed and managed by Affinity Marketing Services.